Clean tops of mushrooms with a damp cloth and remove stems. 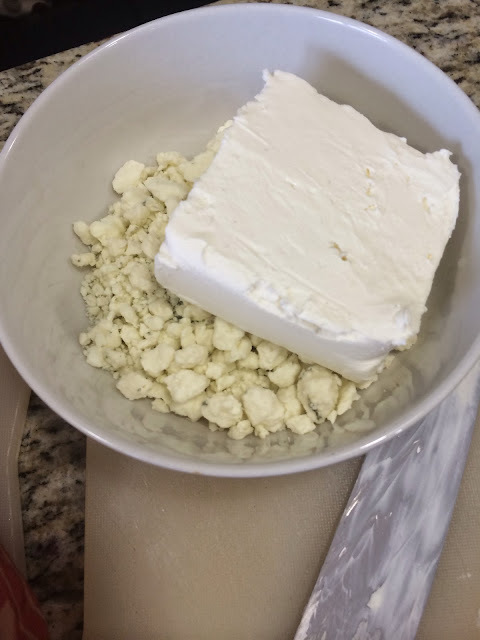 In a small bowl, mix cream cheese, blue cheese, salt, pepper and cooked bacon bits together. 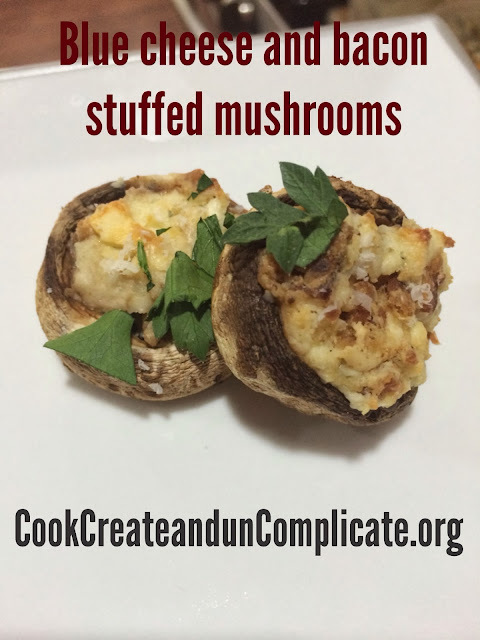 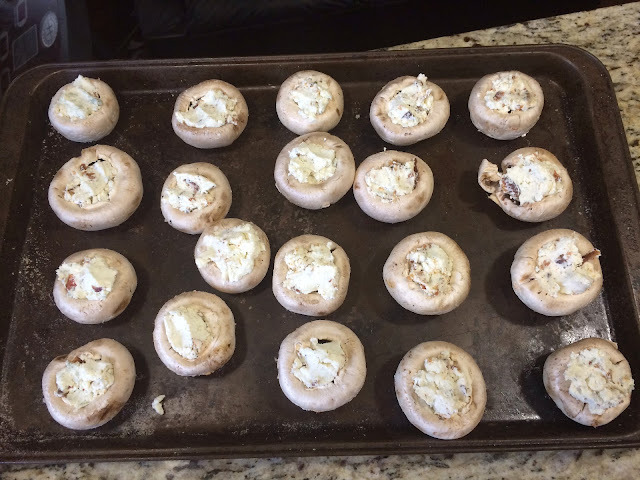 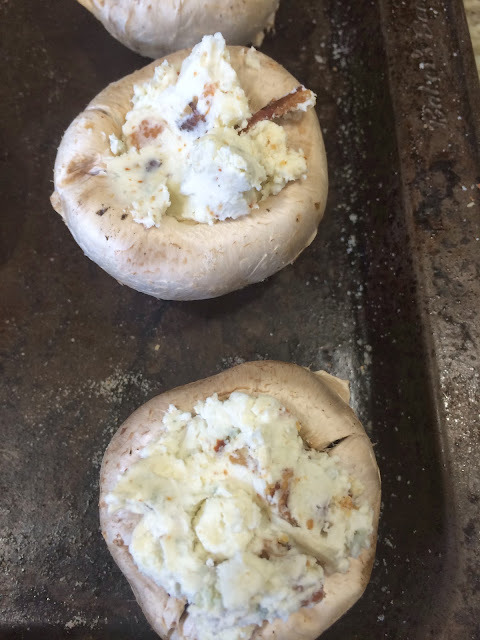 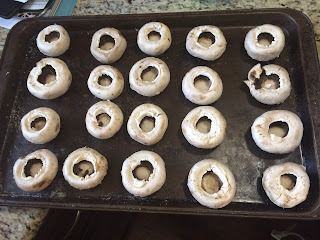 Bake mushrooms in a 350 degree oven for 25 minutes or until bacon is crispy, and the filling has melted. Top with grated parmesan and serve warm.